On November 2nd, 2017 our team took 472 steps up the One London Place stairs to help raise funds for the United Way. 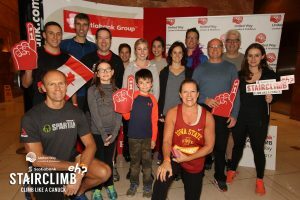 The Scotiabank Stairclimb generates funds to assist with independent living, nutritious food, counselling, mentors and employment counselling for individuals in our community. We were thrilled to be able to participate in this event and help give back to our local community!